Angels Love and Light : Angel Readings Enniscrone, Co Slgo - three dates. Angel Readings Enniscrone, Co Slgo - three dates. I will be offering angel readings in Enniscrone, Co Sligo (which is just 15kms outside Ballina, Co Mayo) once a month from now on. I have chosen three dates for now. February 23rd, March 23rd and April 27th. 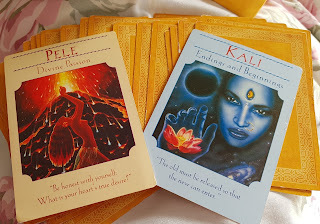 Readings will be available from 10 am to 5pm. I will leave a window of 60 to 75 minutes for each person if it is needed so you will have plenty of time to sift and apply the messages to your life and understand them. You will also receive written notes on the messages that arrived for you. Readings are €50 each payable on the day. If you would like to pay in installments, just message me on marylindaliz@gmail.com For appointments message by email or text/phone 0877713956 Thank you.